I absolutely love negotiating. Sometimes, it embarrasses my husband, but to me, haggling with someone is my idea of a good time. It’s how I can release my inner shopkeeper or detective…or maybe even my inner swap meet bargainer. What I enjoy most about negotiating is how every time I do it, it reminds me again that something is only worth what someone is willing to pay for it and that hardly anything is ever set in stone when it comes to price. Often people overpay for an item or service just because they never think to ask for a better deal (or feel too uncomfortable doing so). 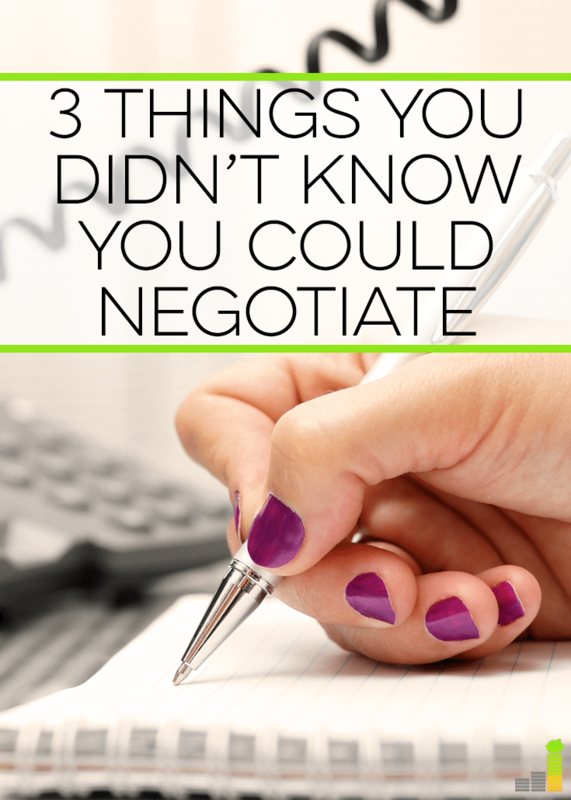 Many people don’t realize that you can negotiate just about anything as long as you know the right questions to ask. 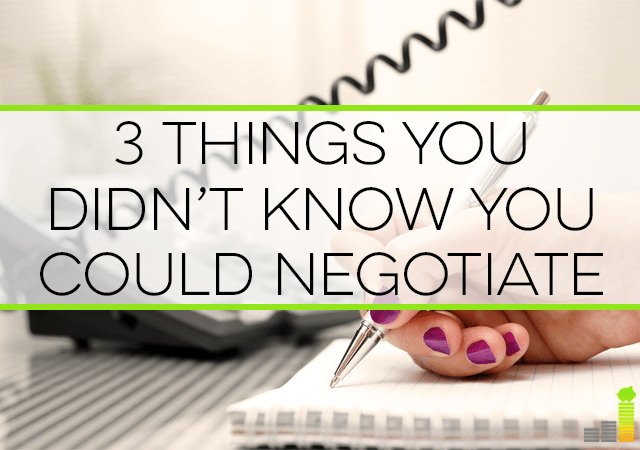 Below are three examples of things you can negotiate and some tips on how to do it right. Hospital bills can be a burden for many people. According to the Centers for Disease Control and Prevention, as many as one in five people struggle to pay medical expenses. I experienced that struggle personally when it came to my twins’ birth. After they were released from the NICU, I got an unexpected $2,000 bill from the neonatology practice that cared for them, and I had to negotiate a monthly rate to pay it off. All that said, if you are having trouble paying your hospital bills, you are not alone. The best thing you can do to handle this issue and negotiate your bill is to contact the hospital. Do not ignore the bills! What you need to do is call the hospital’s billing department and ask for an itemized receipt. When you look through your itemized receipt, sometimes you can pinpoint extra charges, like if the hospital charged you for putting your new baby in the hospital’s nursery but you know for a fact that your baby was with you in your room for your whole stay. Once you get your bill to a price you can pay, offer to pay it in full for an extra discount, or if you need more time, negotiate a monthly payment plan and stick to it. According to the American Moving & Storage Association, as reported to US News, “the average cost of an intrastate move is $1,170, and the average move between states costs $5,630.” It’s definitely expensive to move, but like hospital bills, there is room for negotiation. I recently learned that I will be moving to Michigan in June, so I started calling around for moving quotes. I want our items to be shipped instead of getting a moving truck, so I mainly called around to companies who offer those shipping containers that you can fill yourself. I talked to one company and although they had the best price, I told them I wasn’t ready to book yet and that I wanted to shop around. When I said that, they offered to knock $100 off the price. Once I realized there was room for negotiation, I asked if there were any other discounts he could apply. He found me a student discount for another $50, and because of that I went ahead and booked the move with him. Remember, there are many, many moving companies around the country, and they all want your business. Small moving companies are trying to compete against larger, national brands, and the big guys offer lots of discounts to dissuade you from using their competitors – which means you get to save money. Never accept the first quote that’s offered to you. Always ask if there are additional discounts that you qualify for. If you’re trying to pay off credit card debt, your interest rates are definitely a road block. After all, high interest rates can make your debt increase at rapid rates, even if you’ve already sworn off credit cards and cut them up completely. What you can do is call your credit card company and ask if they can lower your interest rate – it’s that simple. They are more likely to work with you if you’ve paid your bills on time and have been a solid customer. Sometimes if they say no, you can ask if they will just lower the interest rate for a short period of time, like six months. I’ve even had some credit card companies offer to lower interest rates to 0% on all new purchases for a year. Similar to the moving company technique, if a credit card company won’t lower your interest rate, you can always let them know that you’re going to shop around for a 0% balance transfer credit card. They don’t want to lose customers, so usually this spurs them into action. If you have multiple credit cards with balances, it might make sense to consider consolidating them with Lending Club or LightStream to lower your total payments and kill the debt quicker. Overall, you’d be surprised at just how many things in life are negotiable, and you should never feel like a quote or a price is firm. There is usually always some wiggle room when it comes to your bills, so don’t be afraid to ask, especially if it will help your overall financial situation. Do you like negotiating? What is one thing you’ve successfully negotiated in the past? When was a time where asking for an extra discount really paid off? Or, when you didn’t ask but looking back, really wish you had? That’s good to know that you can negotiate moving costs. When I moved after college from Philadelphia to Washington, DC, it was easily because I didn’t own many things. Now that I have furniture, my move would probably be more expensive wherever I decide to go. I got $100 off a truck rental just by asking… pretty powerful! Yes, I still might get rid of furniture to keep the stress down and the costs down but you’re right, it’s difference when you start to accumulate things! I was able to negotiate a better interest rate on my credit card when I was starting out to pay off my debt. The rate reduction was not overly big but it certainly helped me save much needed money. My wife and I are looking to move in the next year, so we will have to keep in mind negotiating the moving costs. Thank you for the write-up! I believe that everybody should experience going to a flea market just to understand that prices are not set in stone. Learning to haggle is one of those lost skills that should not be taken for granted. Yes!! Totally agree. I love haggling and it’s important to know how to do and it’s a confidence builder! I had no idea you could negotiate hospital costs! Will come in handy if I ever have some kind of an emergency! Thanks! You can often negotiate hospital bills down to what would be the ‘Medicare’ rate. Some insurance plans have a higher rate or if you’re not covered, you’ll get billed at the full rate, but if you get the billing statement and look up the codes, you can often get it negotiated down to the Medicare payout rate. If the hospital agrees to that, though, they might be less receptive to a payment plan. Hospital costs can be crazy and if you’re having trouble affording them, the first thing I’d suggest after you double-check the bill is to see if you qualify for the hospital’s financial assistance or charity care program. If not, you can always negotiate after that. When buying furniture my late husband often asked them to throw in a lamp or end tables, etc. if we paid cash. Surprisingly, they usually did. You have to be dealing with someone who has some authority or who will ask his manager. That’s a great idea! Furniture is so marked up so that makes perfect sense! I love negotiating. I almost always ask for a discount. The last time I was doing an oil change, I asked the store if they had any discount / rebates. Immediately, the cashier pulled out a rebate form, printed two receipts (one for me to mail in), and I got a $10 rebate check in the mail a few weeks later. All you gotta do is ask. You got nothing to lose. Sweet! You have to love an instant rebate! #1 Rule. Great read. Keep them coming.